Week 3 is now done and dusted and I’m three quarters of the way through this challenge. It’s getting tough! Although I’m free from the typical creative brief and rounds of revisions, the test is really finding time everyday. The windy weather has influenced me this week – hair is blowing all over the place. Micheal Caine has made an appearance, making him the first man I’ve drawn for quite some time. So fitting this week, as I’m still influenced by the 50s and 60s… and it seems one the drawings looks a little like Betty Draper. 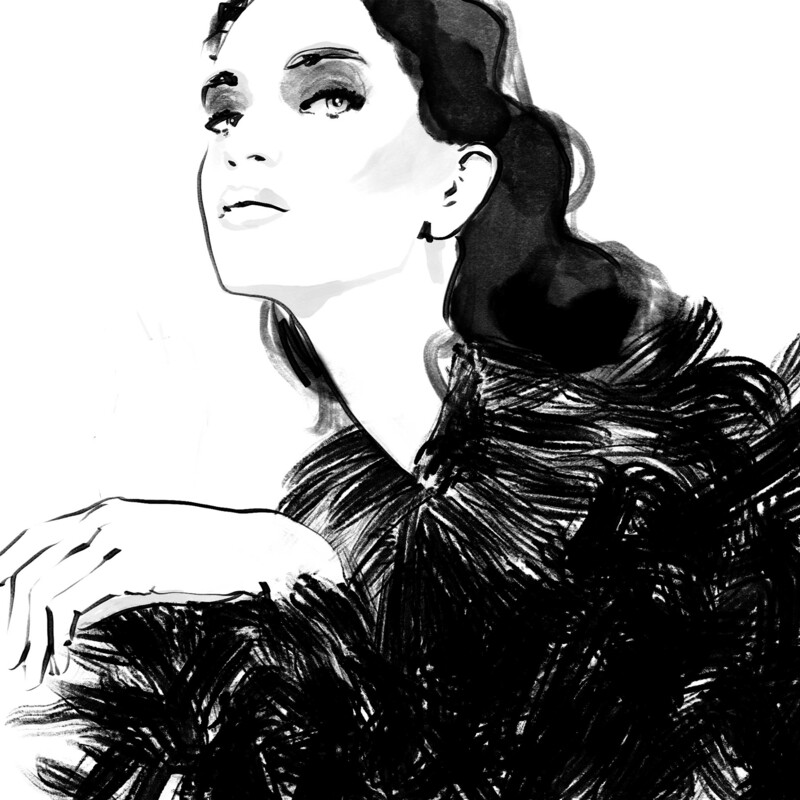 Moving into the final week, I’ll be sticking to my loose ink fashion illustrations theme, but who knows where it will take me. While you are here, why not check out week 1 & week 2’s efforts? Every October artists across the globe take on the Inktober drawing challenge. The idea is to create one ink drawing every day for the entire month. The idea was conceived by Utah based illustrator Jake Parker in 2009 to improve his inking skills. Whilst there is an official prompt list of topics for the daily images, I’m sticking to one of my styles of illustration and creating some loose inky fashion sketches. I’ll be updating my blog once a week, but come and join me on instagram to see the images go up as they are done.